When it comes to tinting your car windows there’s one important and commonly asked questions: how high should you go? As you may already know tinting film darkness is measured in VLT (Visible Light Transmission), and the numbers represent the percentage of light that comes through the windows. For example, 40% VLT window film would block 60% of light through the window and allow 40% to pass through. And despite what some people believe, in a majority of cases you don’t even need more than 50% VLT for the tint to be effective. Most common VLT used in cars today is 70%-85%, and for most people that’s more than enough to reduce glare from the sun and even block most harmful UV rays. Even installing 85% VLT tinting film can make a huge difference when driving. You also don’t want to go overboard with tinting percentages. 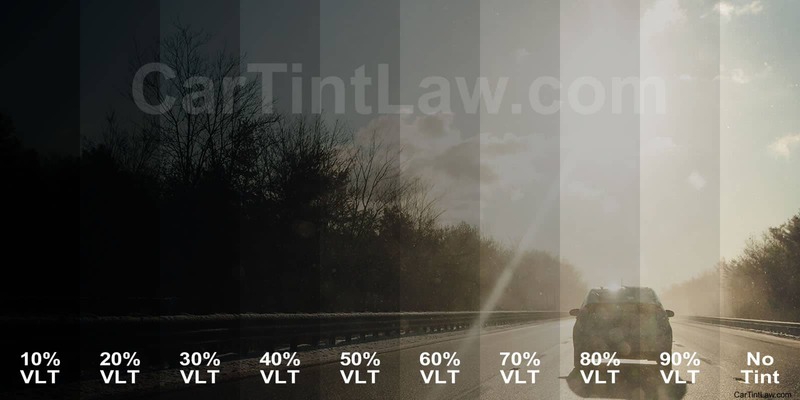 Tint film under 50% VLT can make it very difficult to drive in low light conditions, bad weather, or at night. Many new vehicles already come with pre-tinted windows of 70% VLT. As you can see going for anything below 50% VLT could definitely be considered too much. Even higher light transmission percentage can be effective. If you live near the sea or even driving through snow you are no doubt aware how distracting the sun’s glare can be. But you will not be driving under those conditions all the time, so be reasonable when choosing your darkness levels. Though there are more benefits to tinting windows than sun glare, you can always keep sunglasses in your glove box and use them when needed: they are certainly easier to take off than window tint! Most importantly, ensure that your window tint percentage is within your state’s legal limits!